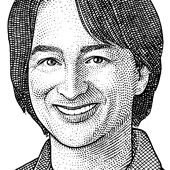 As the key exec for Microsoft's Windows Phone Program, Joe Belfiore focuses on usability and overall experience of Microsoft's mobile technology products. Belfiore now faces the daunting challenge of establishing the Windows Phone 7 and future iterations as a leader in a very crowded mobile space. It is a huge come-from-way-way-behind challenge for Microsoft. Before moving to the Windows Phone team, the 20-year-old company veteran–who came to Microsoft fresh out of Stanford University–has been in charge of the Zune Software and Services, as well as the "eHome" Division of Windows. The company has fared less well in the U.S., which Belfiore says has overshadowed some of the success that Microsoft is seeing In Latin America, India and elsewhere. However, the next big update to Microsoft’s phone operating system will have to wait until next year. Microsoft is putting together responsibility for the software engineering work that goes into the company’s phone, PC and Xbox. All eyes are on Microsoft to see what the company has to offer with Windows Phone 8. No pressure. Will new phones get consumers buying Nokia once again? But existing phone owners aren’t totally being left in the cold. A smaller update for current devices will add the new Start screen shown off on Wednesday. Windows Phone 8 brings the underpinnings of desktop Windows onto a phone for the first time. Windows Phone VP Joe Belfiore offers apologies for the past updates, while outlining some of the new features coming this fall as part of a major update, code-named Mango. And for those wondering when they will be able to launch birds from a catapult, Angry Birds for Windows Phone is coming May 25. Microsoft’s efforts to update Windows Phone 7 have proven a bit challenging on both the communications and technical fronts. In a posting on Microsoft’s developer site, vice president Joe Belfiore apologizes and pledges to both communicate and execute better in the future. Can You Hear Me Now? D: Dive Into Mobile Debuts Tonight! — Google HR executive Laszlo Bock, telling the New York Times’ Adam Bryant that the company no longer asks applicants to complete mental gymnastics during job interviews. Via Quartz.